On Wednesday I travelled back home. It was one of those trips… first finding out my return had been ‘rescheduled’ for Friday, and then finding out that my flight to Pang was cancelled. So I boarded the plane for Iqaluit thinking I’d have to overnight, and fly to Pang in the morning. 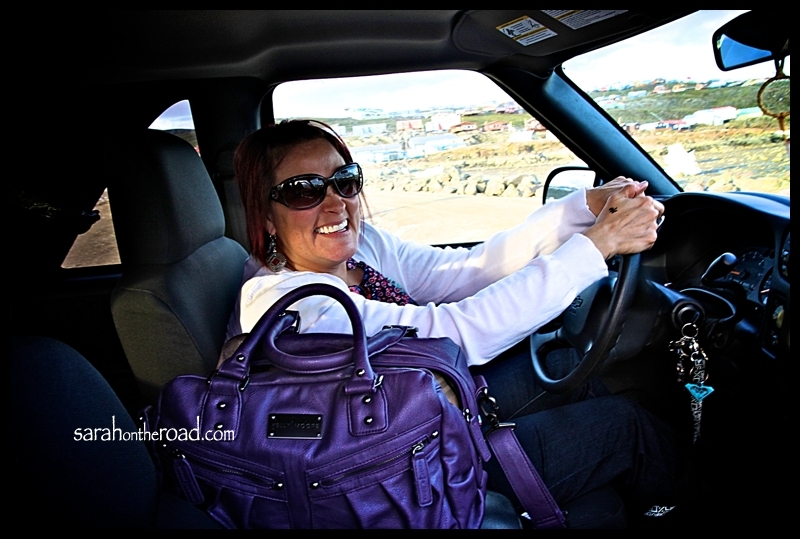 Then when I got to Iqaluit I found out that the flight had been rescheduled with a bit of a ‘lay-over’ in Iqaluit. (My 2pm flight to Pang was delayed until 8:45pm). I took the opportunity to check in and catch up with some friends! 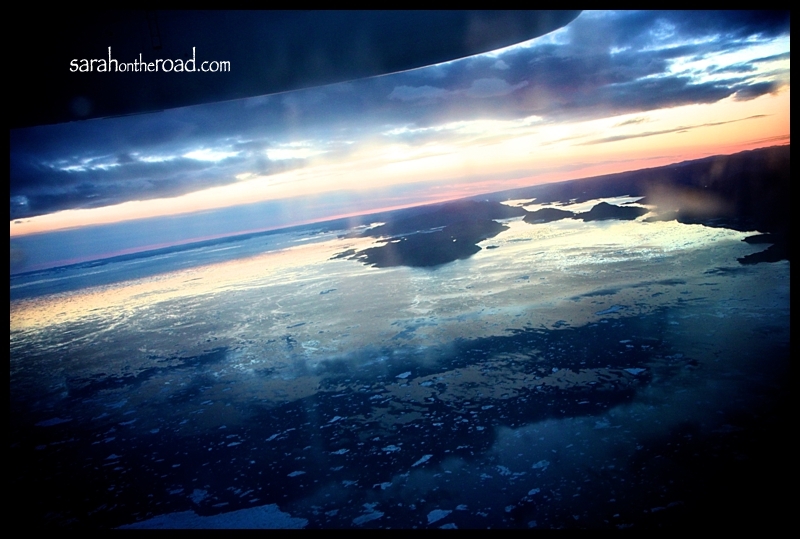 After having wings at the Store House on the way to the airport my friend Nathalie and I drove down to look at some of the ice still in the Bay. Seriously HUGE pieces. Earlier this week the ice had delayed many sealift boats from unloading and the Students going on the Students on Ice ship from leaving! 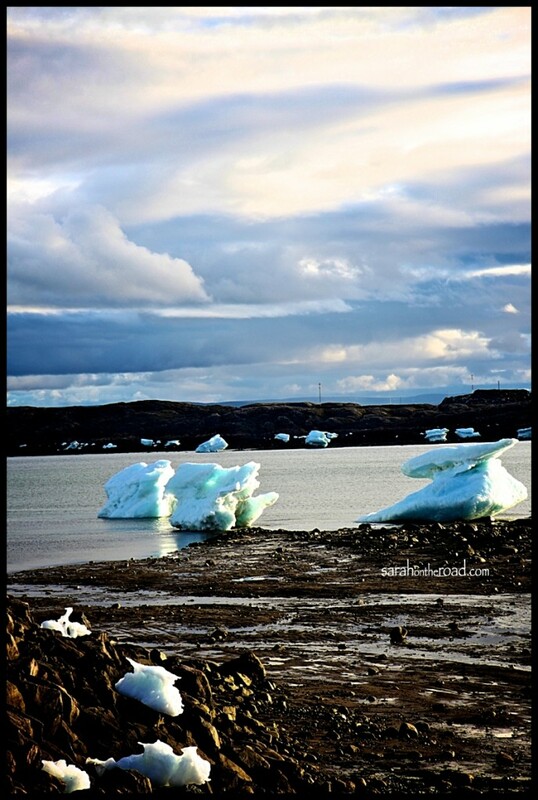 Earlier in the week the bay was totally filled with ice! The tide was out… so all the ice was sitting on the bottom of the bay. It’s hard to tell how ‘big’ these pieces of ice are…but they are probably at least 2x the height of a person. Nathalie… thanks for taking me down to the beach and having wings with me! A shot of Cumberland Sound…just as we entered Pangnirtung Fjord. There is a heap of ice out in the sound too. It was so good to sleep in my own bed again! I have a heap of unpacking/organizing to do… but that’s what the weekend if for. I’ll update you about my time with family, and some unexpected happenings during the last 8days of my holiday soon! 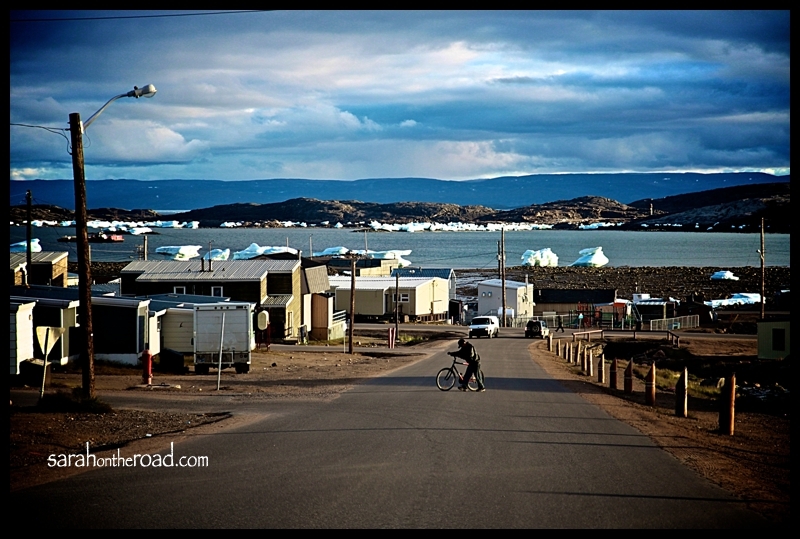 This entry was posted in Life in Nunavut and tagged Iqaluit on August 10, 2012 by Sarah on the Road. 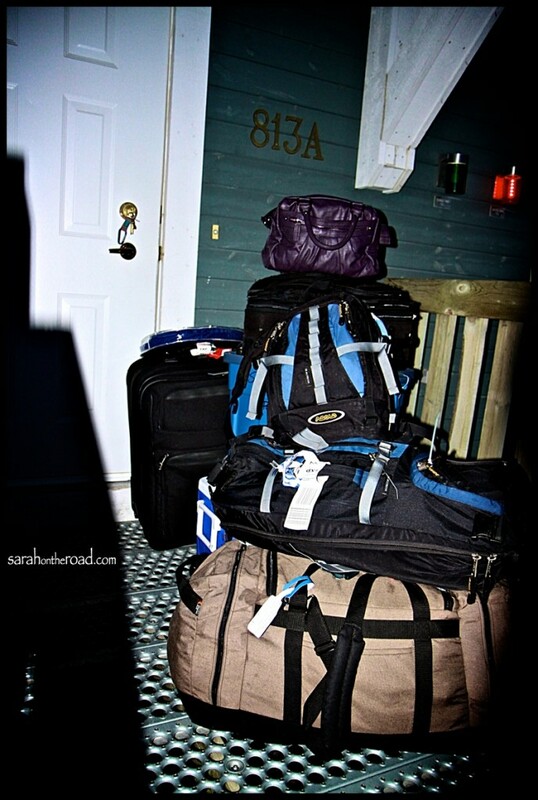 Beautiful photos Sarah, looking forward to hearing more about your travels. 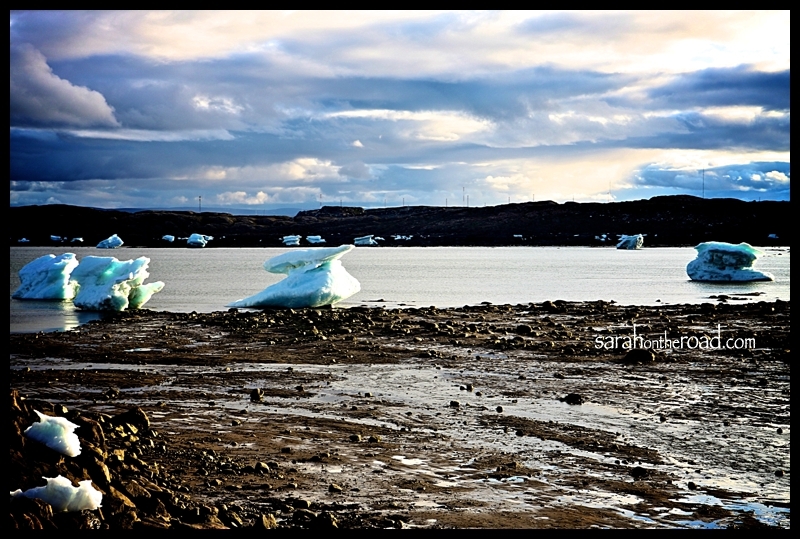 ROCKSTAR pics — love the harbour ice. Have a great weekend Sarah! …thanks Kennan! 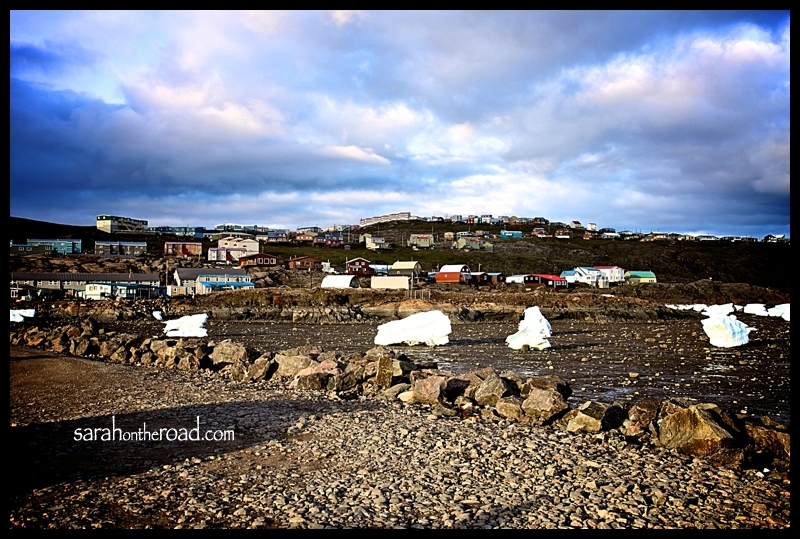 The harbour ice was pretty awesome… if there’s any left next week when I’m back in Iqaluit I’ll have to go down there again to get some more photos!